But nearly everyone agrees the switch has been imperfect. 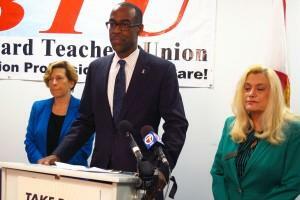 “This has been not necessarily a smooth transition," said Miami-Dade Schools Superintendent Alberto Carvalho. Florida’s standards are based on Common Core, which has been fully adopted by 42 states and the District of Columbia. The standards have been controversial since they first showed up in Florida classrooms three years ago, beginning in kindergarten before adding first grade, second grade and, finally, every grade, in successive years. In 2013, the state made some minor adjustments to the Common Core standards and re-branded them the Florida Standards, highlighting the political conflict. Carvalho says the state could have provided more training to make sure teachers were ready for the new standards. The new online test was a mess this year. And he says many school districts were confused at first about what the standards required. Senate Education Committee Chairman John Legg agreed with Carvalho's assessment. “It was very successful in some areas and a complete disaster in other areas,” he said. 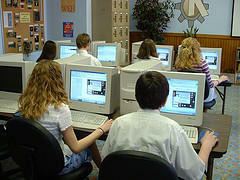 A big disaster was the trouble students had logging into the state’s new test. Software updates by test contractor American Institutes for Research created most of those problems. Legg calls that unacceptable. But he says the tougher standards are getting a reaction. You can see how Florida’s new standards are influencing math lessons in Yaliesperanza Salazar’s fifth grade classroom at Miami’s Frances S. Tucker Elementary. There’s the emphasis on working in smaller groups – in this case to add up how many cakes, chocolate bars and other treats were eaten. Salazar also asked her students to dissect and critique the work of other students. She wanted them to figure out what they got right and wrong – and why. “Then what they did is they found the total amount of?" Salazar asked a group of students. "So guess what they did?" she asked. "How many people ate one-eighth?" "You see what they did in here?" Salazar asks, referencing a chart the previous group of students drew. "OK? Paying attention?" This is the idealized version of the Common Core classroom: The teacher turning students loose on a lesson, everyone working together on multiple solutions and students teaching each other. But the reality is messier. Palm Beach County middle school math teacher Vince Rogers said his first year confirmed one of the complaints about Common Core goals: They’re just too hard. Common Core is supposed to be more of a challenge. Fewer students are expected to meet goals on state tests. Students will have to be able to explain – and defend – their work. But the creators of Common Core – groups like the National Governor’s Association with help from teachers and educators across the country – say the standards are better because they’re more streamlined. Many states piled on concepts in their former standards so that teachers had to rush through lessons to get everything covered. But Rogers says he feels more rushed with Florida’s new standards. Kathy Pham has heard those complaints from math teachers. She’s a teacher in Miami-Dade County who helps train teachers in the language arts standards. 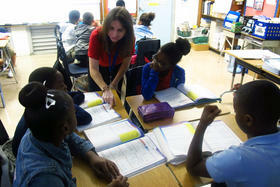 Critics worried Common Core might restrict teachers. But Pham says Common Core allows for less scripted lessons and gives more freedom to teachers in classroom. Big changes in classrooms take some time to get used, she says. But Pham calls the new standards an improvement. And the ultimate judges? What do students think of all these changes? 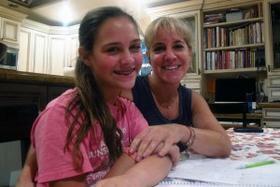 Miami fifth grader Natasha Benzadon is not a fan of the way Common Core has changed her math lessons. Teachers are using new techniques to help students visualize and grasp the concepts. “Now, they’re teaching you with models that I really don’t understand the lesson," she said. That means drawing number lines or multiplying using a matrix instead of the traditional solution method -- carrying ones, tens, hundreds long hand to work out the answer. “And that’s why when I come home I ask for my mom’s method,” Benzadon said. 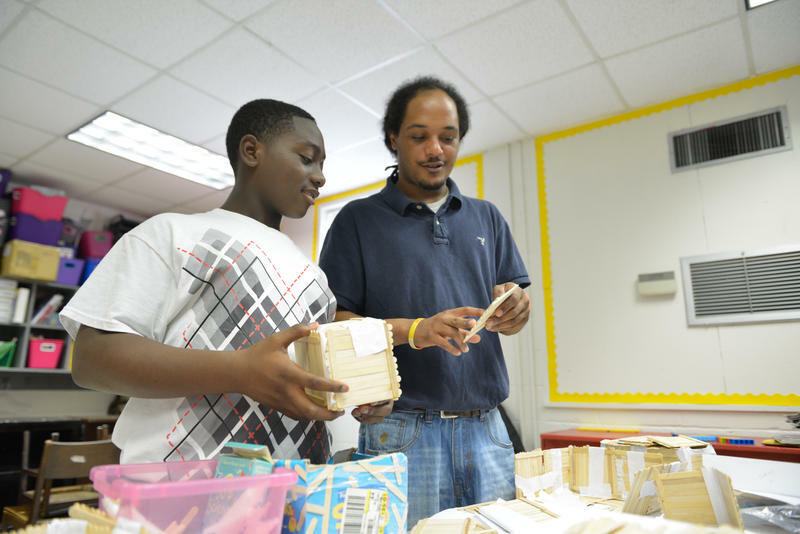 Fellow Miami fifth-grader Owen Robson says “text evidence” was a big deal in his classes. That’s when students have to support their ideas and writing with facts from what they’re reading. That’s an emphasis in Common Core. But if Common Core is supposed to be more of a challenge, Robson says the new test didn’t seem much harder. He was nervous taking the exam, and he’s still waiting on his score. But he says he and many of his friends finished the math and language arts exams with plenty of time to spare.